Listed by Michael Warwick 605-641-2569 & Heath Gran 605-209-2052 Great Peaks Realty. Enjoy 25 acres of country living with beautiful views of the prairie and the Black Hills! 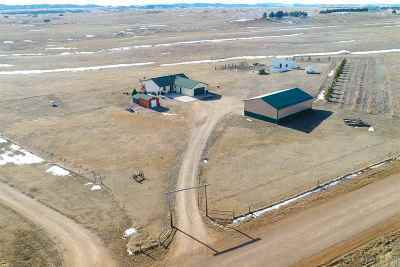 Horses are welcomed with a horse barn that has two 10x10 stalls and one 10x10 stall with loft. Open floor plan with an amazing covered back deck to soak up the amazing views! The shop 32x48 with 12&apos; sidewalls three 10&apos; doors fully insulated with great lighting, great for any gear head or for storage.